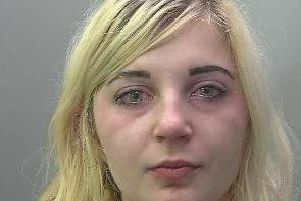 A 19-year-old from Peterborough is spending Christmas behind bars after admitting a ‘campaign of blackmail’ against an innocent teenage girl. Todd Walton tricked the 19-year-old into paying him £5,360 in the space of just a year after meeting her online. Walton (19) told the girl if she did not pay him he would kill himself, or he would make false reports to the police about her. But the victim’s parents grew suspicious when their daughter became more private, and stopped treating herself. The court heard the girl regularly used to show her parent’s her savings book, but she had stopped doing so during the blackmail, arousing their suspicions. Her parents found the book, and discovered instead of the £5,000 they were expecting in the account, there was just 75p, and after talking to the girl, phoned police. On Friday, Walton, of Gostwick, Orton Brimbles, Peterborough, was sentenced to 27 months in jail. He pleaded guilty to blackmail at a previous hearing. The court was told Walton would demand payment of up to £500 a day, with the scheme lasting for 11 months. Mr Bruce read a statement from the victim, which said: “I am living in fear. I am terrified people will be looking for me as a result of his threats. The court also heard the victim was still struggling to sleep as a result of the blackmail. Defending, Jonathan Masters said: “He is expecting his first child in April, and now has a job working in the Amazon warehouse. But Judge Peter Murphy said: “You were blackmailing this girl as you sensed she was timid and vulnerable. “This was a campaign of blackmail.